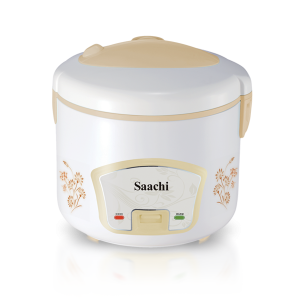 This Rice Cooker comes with a capacity of 1.8L which is more than sufficient to cook your daily meals. The steam basket allows you to steam a variety of meats and vegetables, cooking them in a healthy and efficient manner. The keep-warm function ensures your food is kept nice and warm once it has been cooked until its time for your meal. The locking mechanism in this appliance prevents any overflow and makes it a safe appliance to use. 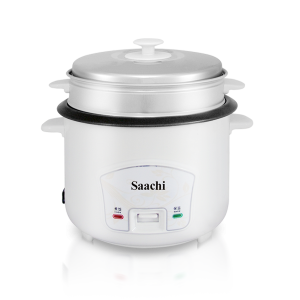 This Rice Cooker comes with a capacity of 4.2L which is more than sufficient to cook your daily meals. The steam basket allows you to steam a variety of meats and vegetables, cooking them in a healthy and efficient manner. The keep-warm function ensures your food is kept nice and warm once it has been cooked until its time for your meal. 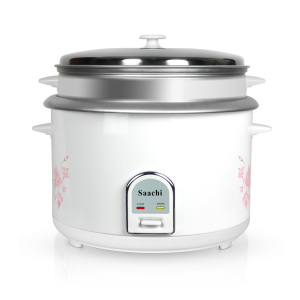 This Rice Cooker comes with a capacity of 1.8L which is more than sufficient to cook your daily meals. The steam basket allows you to steam a variety of meats and vegetables, cooking them in a healthy and efficient manner. The keep-warm function ensures your food is kept nice and warm once it has been cooked until its time for your meal. 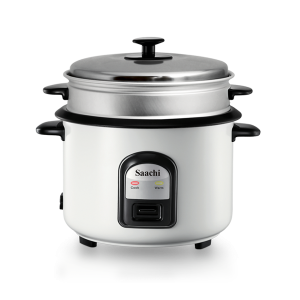 This Rice Cooker comes with a capacity of 2.5L which is more than sufficient to cook your daily meals. The steam basket allows you to steam a variety of meats and vegetables, cooking them in a healthy and efficient manner. The keep-warm function ensures your food is kept nice and warm once it has been cooked until its time for your meal. This Rice Cooker comes with a capacity of 2.5L which is more than sufficient to cook your daily meals. The steam basket allows you to steam a variety of meats and vegetables, cooking them in a healthy and efficient manner. The keep-warm function ensures your food is kept nice and warm once it has been cooked until its time for your meal. The locking mechanism in this appliance prevents any overflow and makes it a safe appliance to use. 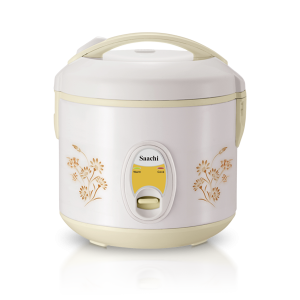 This Rice Cooker comes with a capacity of 1.0L which is more than sufficient to cook your daily meals. The steam basket allows you to steam a variety of meats and vegetables, cooking them in a healthy and efficient manner. The keep-warm function ensures your food is kept nice and warm once it has been cooked until its time for your meal. The locking mechanism in this appliance prevents any overflow and makes it a safe appliance to use. This Rice Cooker comes with a capacity of 5.6L which is more than sufficient to cook your daily meals. The steam basket allows you to steam a variety of meats and vegetables, cooking them in a healthy and efficient manner. The keep-warm function ensures your food is kept nice and warm once it has been cooked until its time for your meal.